Threads of Life volunteer Mary Lou Gormley with husband Robert. People choose to volunteer for a variety of reasons. For some it offers the opportunity to give something back to their community or make a difference to the people around them. For others, it provides a chance to develop new skills or build on existing experiences and knowledge. For our volunteer Mary Lou Gormley, both of these reasons are true. 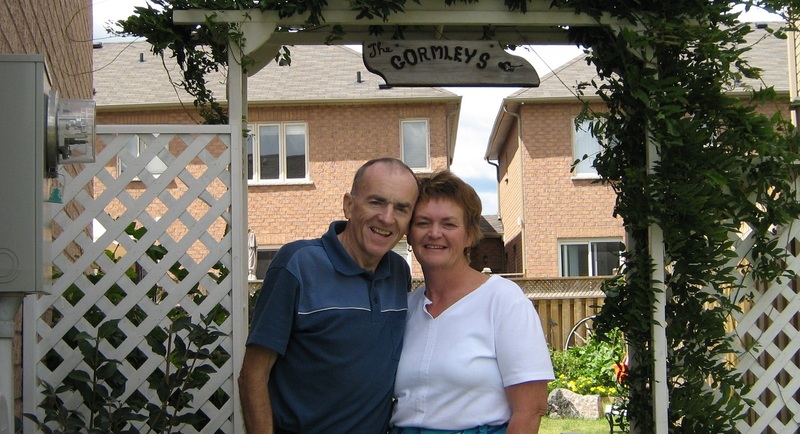 Mary Lou first heard about Threads of Life from a nurse who helped to care for her husband Robert while he was in the hospital. After Robert died in February 2007, the nurse handed Mary Lou a Threads of Life pamphlet. It took Mary Lou over a year to attend a Family Forum as she worked through her grief and adjusted to life without her husband. She and her young son Andrew attended their first Family Forum in September 2008. While she only stayed a short time she knew she’d found a place where she could grieve openly and honour Robert’s life. Threads of Life has been a huge part of her survival for the past ten years. She led her first workshop for other families at the September 2009 Family Forum, entitled Masks of Grief. She then went on to lead the Spirituality and Loss Workshop at both the September 2012 and 2013 Family Forums. Mary Lou completed her Volunteer Family Guide Training in January 2013 and works primarily with families whose loved one has suffered an occupational illness, but has not yet died. She wants to be there for those families while their loved one is still alive. She wishes she had found Threads of Life prior to Robert’s death and wants to give back in the way she wished she had received. By volunteering, Mary Lou is able to maintain a relationship with Robert. She feels this way he will never be forgotten. Her favourite part of helping other families is that she understands their struggle and what they go through on a daily basis in caring for their loved one. No explanation is needed; she gets it; she can just be there for them. “To give back is to get some value from the loss and the grief,” she says. Mary Lou wrote a piece for our blog “Witnessing Mirrors”, released September 19th, 2017. This has fueled her to write her own story for others. Mary Lou is working on a book entitled Lessons from the Garden.